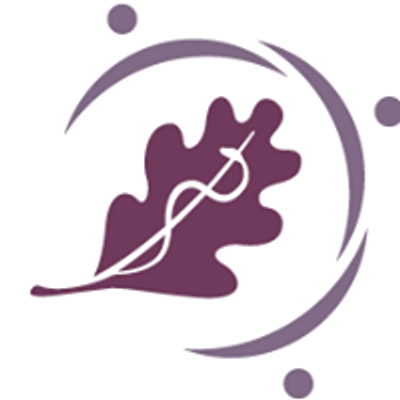 The Take Action Conference is an annual conference that brings high school students from across the GTA to learn about Global Health. 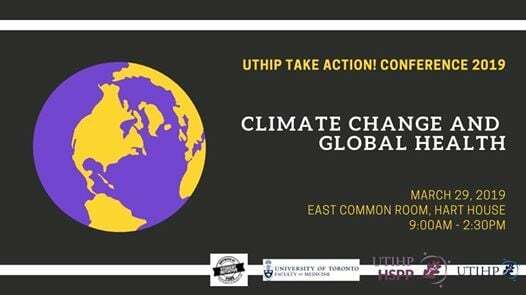 This year's topic is on Climate Change, and is anticipated to bring an audience of 100 students to Hart House at the University of Toronto. 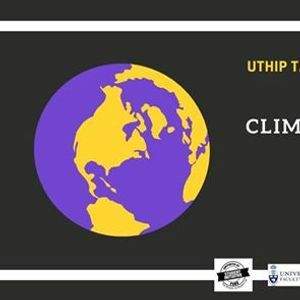 During the conference, students will learn about Climate Change and Global Health from speakers and panelists representing a breadth of disciplines including medicine, health geography, bioethics and policy, and material science and nanotechnology. This is an excellent opportunity for high school students from all backgrounds to learn about a extremely relevant component of today's global health system, to network with like-minded peers and experts in the field, and to explore their post-secondary options. There is no cost to attend the conference, however students must be in Grades 9, 10, 11, or 12. Students may register for the conference independently or through their educational institutions as part of a class excursion. Students registering independently must be at least 16 years of age by March 29, 2019 to attend. Educators who are bringing their students as part of a class trip should register for the appropriate number of 'Student' tickets as well as registering for an 'Educator' ticket. Lunch will be provided! For any questions regarding registration, schedule of events, or the conference in general, please email the HSPP Co-Directors Pascale or Amanda at aHNwcCB8IHV0aWhwICEgY2E=.